Anglo Asian Mining PLC (AAM), a producer of gold, copper and silver in Azerbaijan, produced 18,307 ounces of gold in the first quarter of 2018, which is 26 percent more than in the same period of 2017, according to the company report. 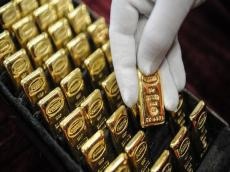 The company said that such a sharp increase in the gold production is linked with the launch of production at the new Ugur field. The copper production during the reporting period amounted to 255 tons, which is 2.4 times less than in the first quarter of 2017 (606 tons). In 2018, AAM plan to produce up to 84,000 ounces of gold. AAM and Swiss Industrial Minerals SA signed an agreement in May 2014 on selling cooper concentrate produced at Gadabay field in Azerbaijan. Based on the production sharing agreement signed with Azerbaijani government in August 1997, Anglo Asian Mining PLC has the right to develop six fields in south-west of Azerbaijan: Gadabay, Ordubad, Gosha Bulag, Gizil Bulag, Vejnali and Soyutlu. The gold produced at the fields is sent to Switzerland for purification. The ingots are delivered to Azerbaijan and are stored in the government’s account. In 2017, AAM produced 59,617 ounces of gold, 1,991 tons of copper and 172,853 ounces of silver in Azerbaijan.